I.C.E. stands for In Case of Emergency. It is put out by the Triple A (AAA) as a way of encouraging motorists to have emergency information available on their person, or in and around their vehicles. 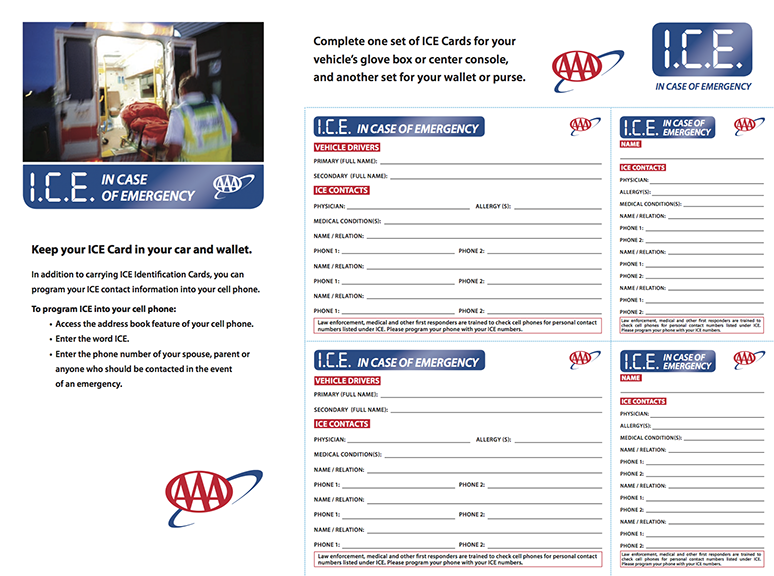 You can download the PDF form below, print and fill out to create your own I.C.E. cards. 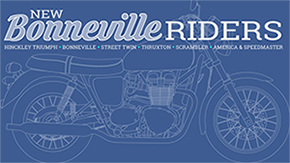 Not a bad idea for motorcyclists! 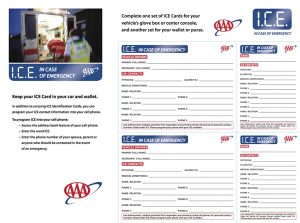 In Case of Emergency Cards – I.C.E.